Scotch® has really helped me roll with it for the new school year! 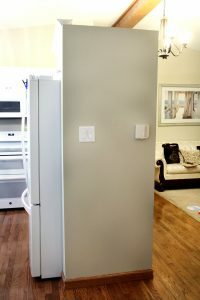 We are finishing up a summer kitchen renovation and I have been wanting to spruce up a narrow wall in this space. I decided to make a Colorful School Themed Mini Gallery Wall that can display our school calendar and some of the kids artwork from school. Thanks to Scotch® Wall-Safe Tape and Walmart, sprucing up this wall was incredibly easy and quick. 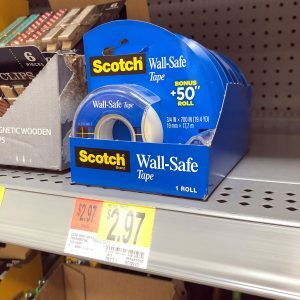 I found the Scotch® Wall-Safe Tape at my local Walmart in the back-to-school aisle. 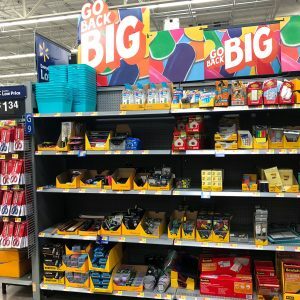 While at Walmart, you can also stock up on any other Scotch® back-to-school supplies you may need. 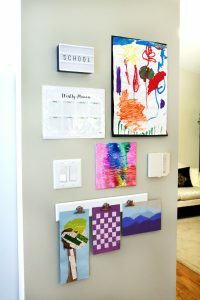 Find an area in your home where you’ll want to create your gallery wall. I chose this wall, because it is narrow and everyone sees it when they walk in from the garage. We just added a fresh coat of paint to this wall, so it is nice and clean. You may want to paint or clean off your wall before you begin. Next, I measured the wall and then laid out the pieces that I wanted to use on the floor before putting them on the wall. 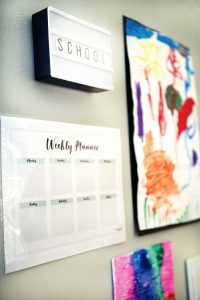 I added a calendar (you can find free printables for one on Pinterest) in a protective plastic covering, a clipboard that would be easy to change out a few pieces of the kids artwork, other artwork that looks nice when hung alone (artwork on a thin canvas or that is framed with a darker sheet of paper underneath it) and I also found an inexpensive light board in the back-to-school aisle. 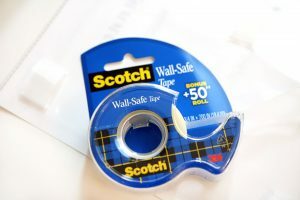 I added the Scotch® Wall-Safe Tape to the back of the pieces I wanted to hang on the wall. Next, I hung up all of these items on the wall. 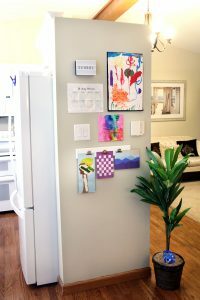 I was able to hang up all of the light-weight items with the Scotch® Wall-Safe Tape and some of the heavier items I hung with some other Scotch® products that I found in the back-to-school aisle. 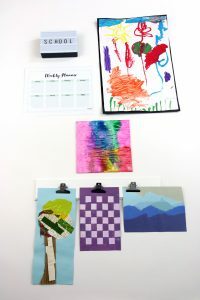 I hung the clipboard lower, so that the kids can easily change out their artwork as they see fit. Here is the finished wall and I love how colorful and vibrant it looks in this space. 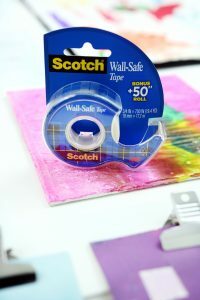 Scotch® Wall-Safe Tape makes it so easy to hang calendars, special pieces of artwork, etc. on your walls. I can literally change out the artwork in seconds! Are you looking for more back-to-school inspiration from Scotch®? 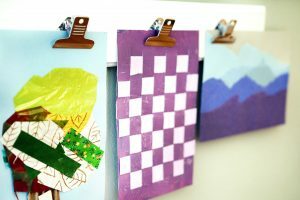 Be sure to check out THIS page for more back-to-school ideas. School is back, roll with it.